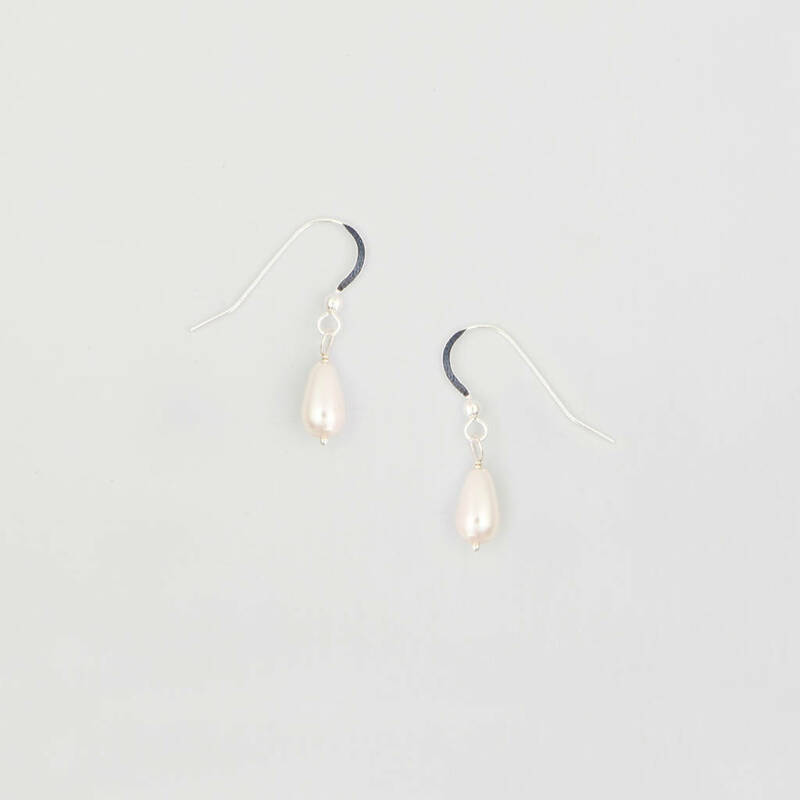 Hermi is a simple yet stunning pearl drop wedding earring made from ivory crystal pearls and wire. When your earrings arrive it's a very special experience. 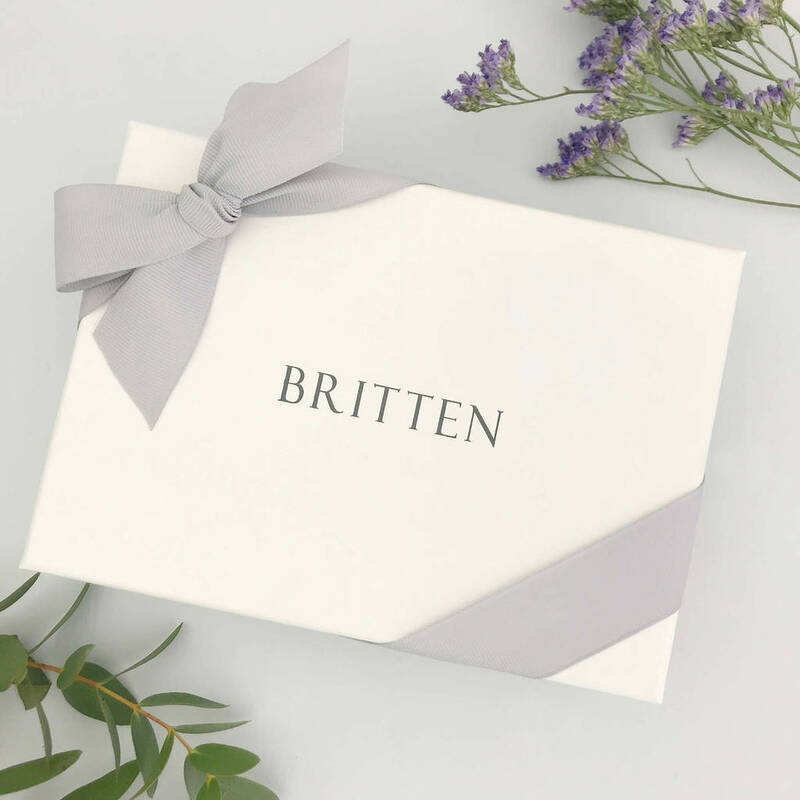 We use luxurious deep boxes designed to keep your Britten piece safe for generations to come. Inside this box, nestled in soft tissue paper, you'll find a tulle dust-bag, handmade in our workshop with your earrings within. 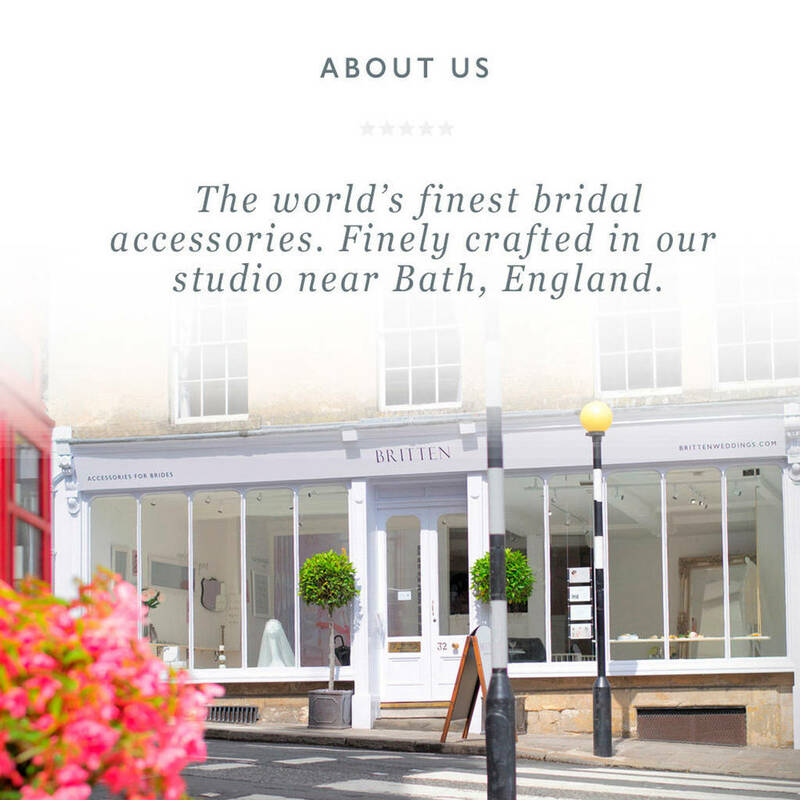 These pearl earrings are hand made in our ancient workshop just outside Bath. 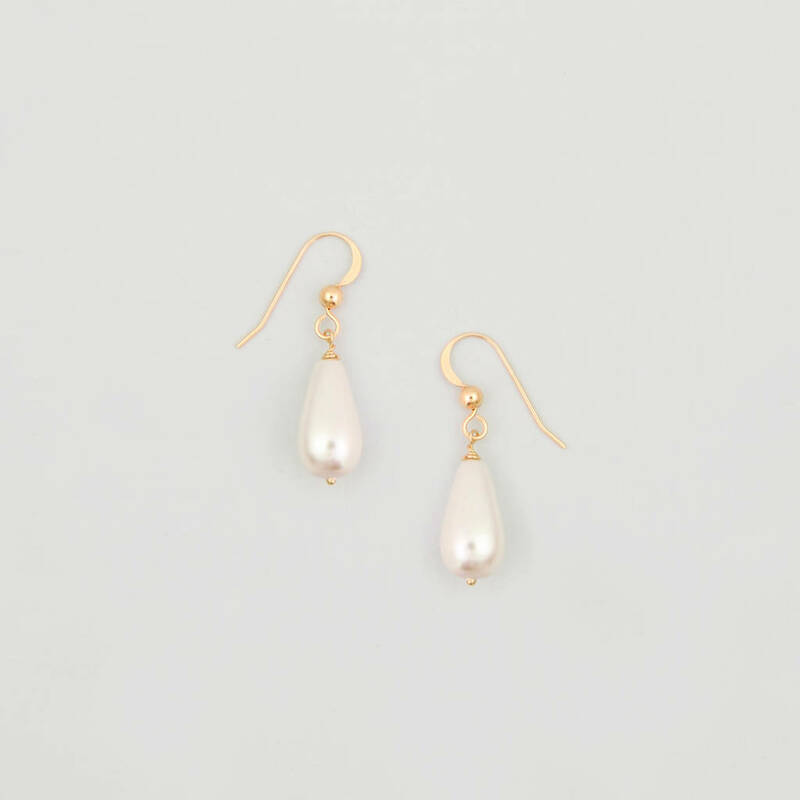 Available in gold (14k gold plated or 14k gold filled), silver (silver plated or sterling silver) or rose gold (rose gold plated or 14k rose gold filled findings). 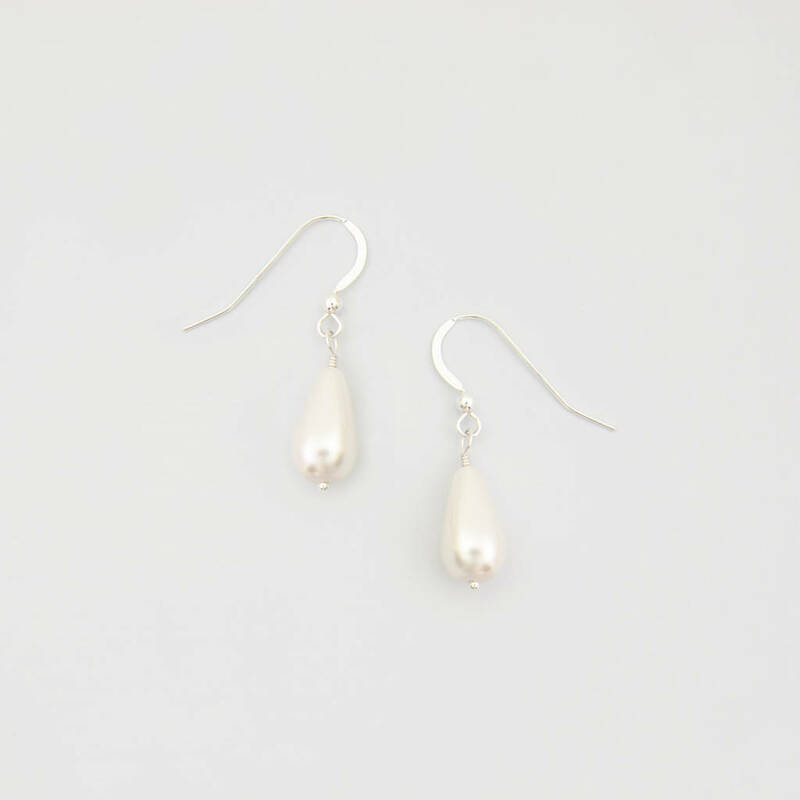 There are two different sized pearls available. 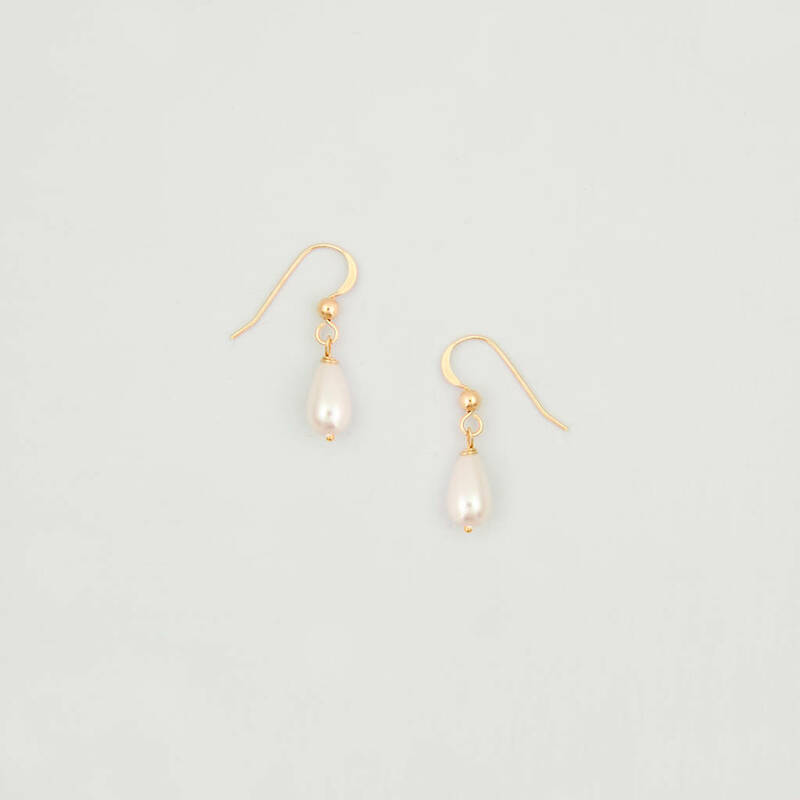 Hermi pearl drop earrings are designed to match our pearl drop necklace Hermione. They are also available as a set. 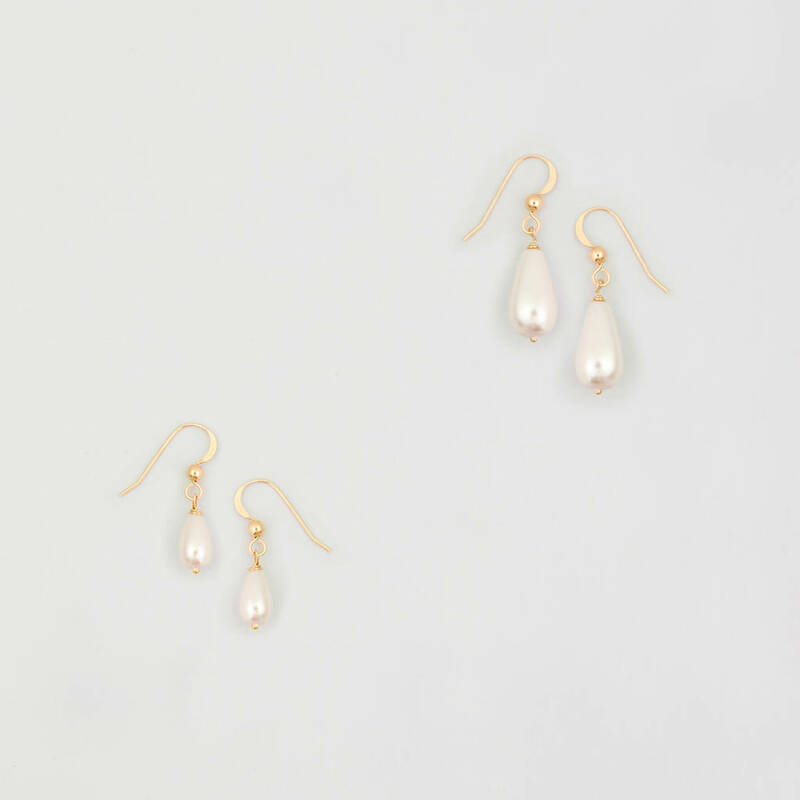 A stunning glass pearl sways from delicate earring hooks. 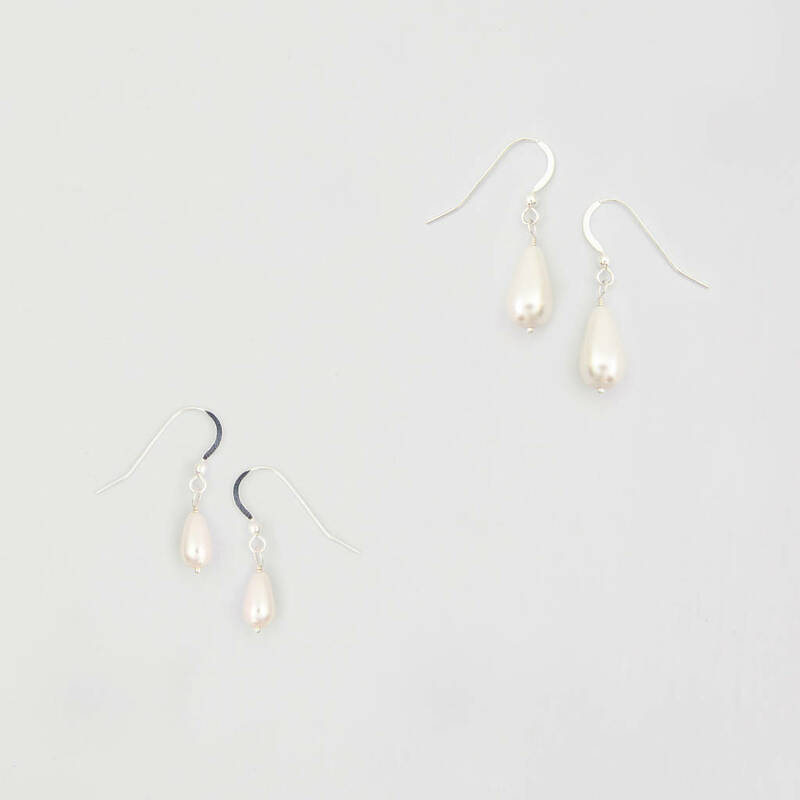 The earrings come in two sizes, the smaller pearl drop is 10x6mm and the larger pearl drop is 15x8mm. Due to their hand made nature some tiny variations may occur. Our model wears the smaller size.